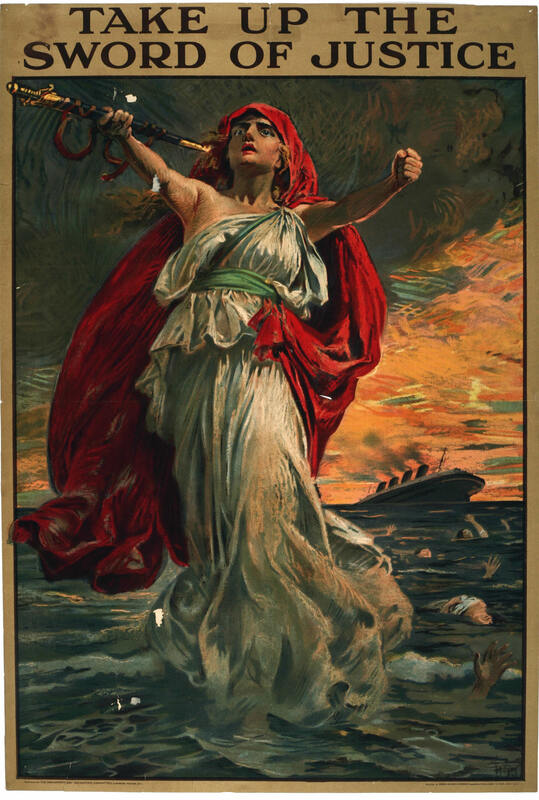 This dramatic British recruitment poster depicts the figure of Justice rising from the sea. In the background, the doomed passenger liner Lusitania sinks amidst its drowning passengers. The May 1915 sinking by a German U-Boat caused 1,200 civilian deaths and sparked widespread outrage. Your country. Your history. Your museum.